Why a jury found Loyd Jowers and the U.S. government liable in the MLK assassination — and why that verdict hasn't changed history. 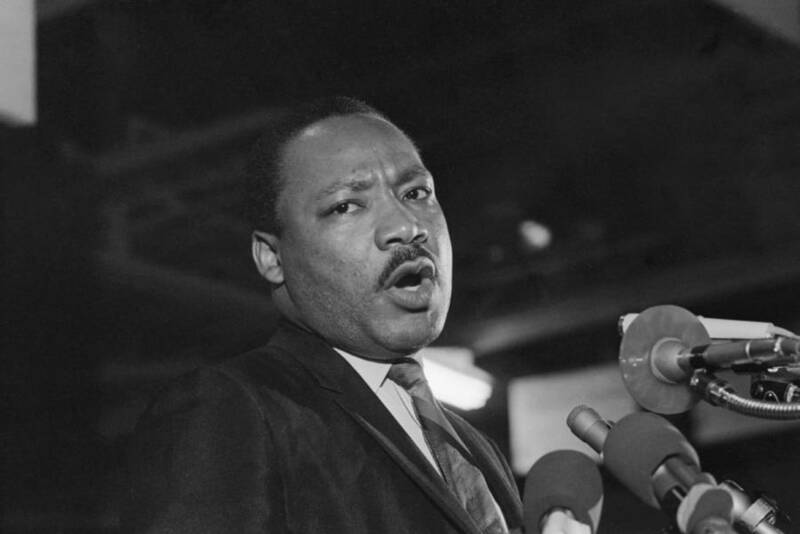 Bettmann/Contributor via Getty ImagesOn the night of April 3, 1968, Martin Luther King Jr. delivers his now famous “I’ve Been to the Mountaintop” speech at the Mason Temple in Memphis, Tennessee. The following day, King would be assassinated. 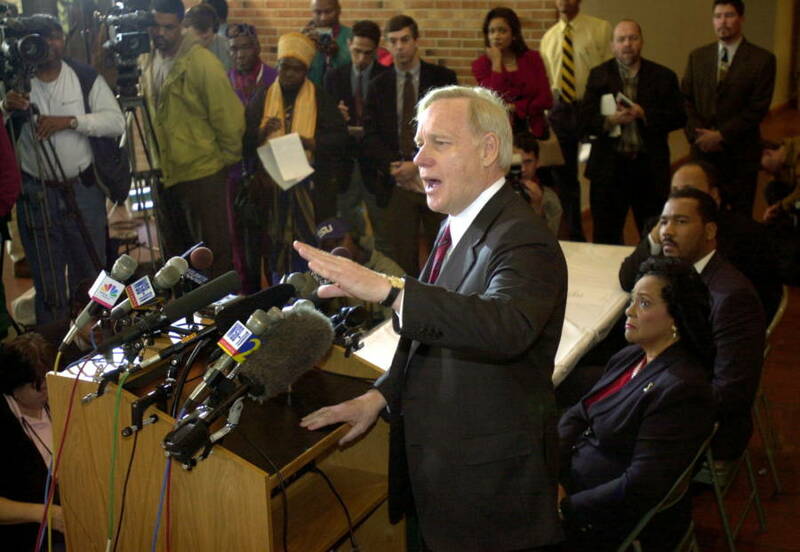 In 1999, 31 years after the assassination of Dr. Martin Luther King Jr., 12 jurors returned a verdict against a man connected to the killing, the first time a jury had ever done so on this historic matter. The jury found that the defendant, a man named Loyd Jowers, had hired a Memphis police officer to kill King — and that “government agencies” and other unnamed entities (Jowers himself cited the Mafia) had been involved in a wider conspiracy to kill the civil rights activist. Three decades earlier, James Earl Ray had been the first man accused of killing King. About a year after King’s April 4, 1968 assassination at the Lorraine Motel in Memphis, Tennessee, Ray pleaded guilty to the murder before he was to stand trial and was sentenced to 99 years in prison. Over the years, he recanted and made several attempts to withdraw his plea to no avail. Ray’s later denials of his guilt, combined of course with the momentous nature of King’s murder, has helped give rise to a seemingly endless stream of conspiracy theories. Throughout the years, everyone from the C.I.A. to the F.B.I. to various private citizens has been accused of orchestrating the MLK assassination, while the official record still has Ray as the murderer. But there remains that little-known — and often misunderstood — Loyd Jowers verdict from 1999. As part of James Earl Ray’s defense, his lawyer, William F. Pepper, contacted the King family. He told them that while his client was not guilty, there were members of the American. government who were. He claimed that the assassination had been a long-planned conspiracy that reached all the way from the F.B.I. to the C.I.A. to President Lyndon B. Johnson himself. The conspirators’ motive, Pepper said, was to silence King due to his very public denouncements of the Vietnam War. Shortly before his assassination, King had threatened to march on Washington with massive anti-war protests. In order to further the war efforts and silence King, the government had orchestrated his murder and framed the lowly convict Ray as his assassin. Though Pepper was a noted conspiracy theorist at the time, and despite the fact that Ray had openly admitted to perpetrating the MLK assassination, the King family believed Pepper. Eventually in 1997, the King family pushed for Ray to be re-tried, as they didn’t believe that his original trip through the justice system had been fair. Meanwhile, in 1993, Mafia-affiliated Memphis restaurant owner Loyd Jowers publicly announced that he had hired a Memphis police officer to kill King as part of a larger conspiracy between the Mafia and the U.S. government. He claimed the real shooter was a Lt. Earl Clark, not James Earl Ray, and that he had credible witnesses to back him up. When Jowers made his announcement on ABC’s Primetime Live, he named Mafia figure Frank Liberto as the man who ordered the MLK assassination. Jowers claimed that Liberto offered him $100,000 to hire Clark. Liberto, unfortunately, passed away prior to the interview, and could not corroborate the story. Nevertheless, in 1998, just after failing to secure a retrial for Ray, the King family filed a wrongful death suit against Loyd Jowers. Erik S. Lesser/Liaison Agency/Getty ImagesAs the King family looks on, William F. Pepper addresses the media following the trial of Loyd Jowers in connection to the MLK assassination. Atlanta, Ga. Dec. 9, 1999. When the King family filed suit against Loyd Jowers, their lawyer was none other than William Pepper, who was indeed then able to build a case that convinced the jury that Jowers and the government were responsible for the MLK assassination. Pepper produced dozens of witnesses to corroborate his conspiracy theory, dug up a plethora of supporting statements from Ray and Jowers, and brought offered ballistics evidence to show that Ray’s supposed gun couldn’t have been the one used in the MLK assassination. However, The New York Times among other sources, quickly painted the trial as something of a sham. Both the jurors and the judge, one year away from retirement, were caught nodding off during the trial, statements from televised mock trials were used as testimony, Jowers himself never testified and the inconsistencies in his claims were kept from the jury, and the ballistics authority was judge-turned-television-host Joe Brown. Nevertheless, just after the guilty verdict came in against Loyd Jowers (after deliberations of just one hour), the King children spoke to the media with certainty about Jowers’ guilt and shut down any further talk of James Earl Ray’s involvement in the MLK assassination. Meanwhile, the United States government denied any involvement in Martin Luther King Jr.’s assassination, though they did conduct their own investigation into it, beginning in 2000. 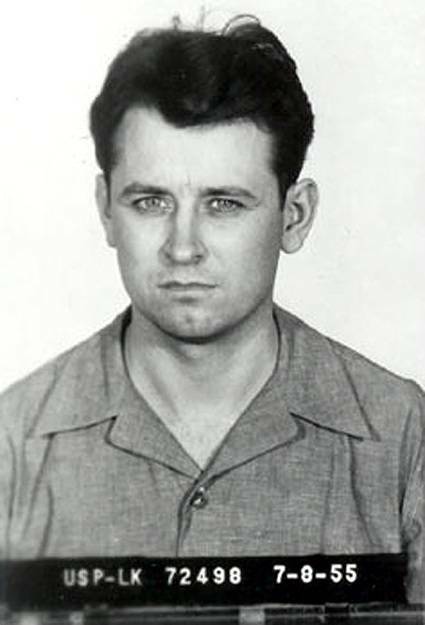 Their findings, they claimed, were conclusive that there was no evidence to support the conspiracy theory allegations that came out during the Loyd Jowers trial, recommended that no further investigations be made, and stated that James Earl Ray should continue to be considered the sole assassin. Later, one of Jowers’ sisters came forward, alleging that Jowers had fabricated the story in order to make a few bucks. She claimed that one news outlet offered him $300,000 in exchange for the story and that he embellished it in order to please them. She also admitted to corroborating his story in exchange for money. Despite such evidence, the Loyd Jowers verdict still fuels one of several persistent alternate theories about the MLK assassination. 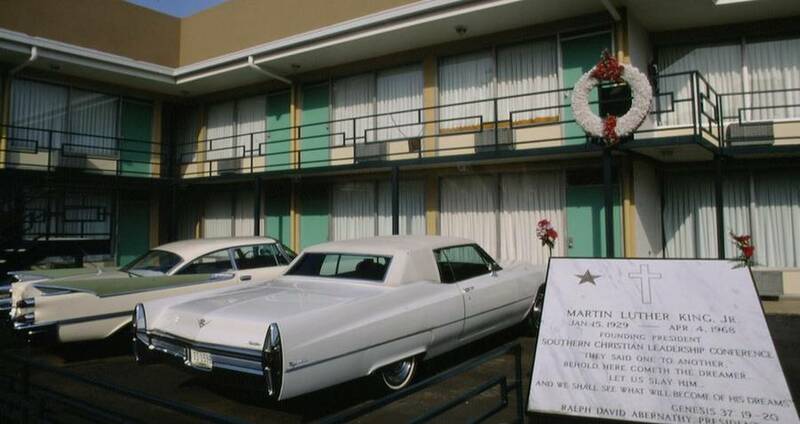 Getty ImagesThe Lorraine Motel, where the MLK assassination took place. One alternate theory about the assassination of Martin Luther King springs from the fact that, when Ray’s gun was first found, the receipt for the purchase was in the name of a Harvey Lowmeyer, and the room that the gun was supposedly shot from was rented in the name of John Willard. The names were eventually discovered to be aliases of Ray’s, though some theorists maintain that these other men do exist and were part of a larger cover-up that ended with Ray as a scapegoat. 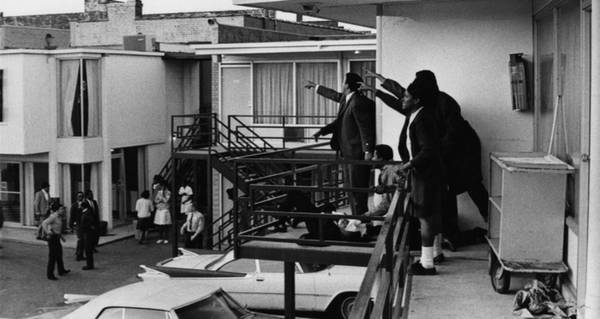 Another MLK assassination theory alleges that Ray may have been there, but that there was a second shooter. This theory stems from Loyd Jowers’ testimony, as it involves his bar, Jim’s Grill, which was located directly below the rooming house where Ray was said to be staying. The theory claims that an unnamed gunman came to the bar after King was shot, and handed Jowers a rifle to hide. Jowers originally claimed that this was false, then later admitted to seeing a gun, but not knowing who the man was — another one of Jowers’ ever-changing stories. William Pepper himself immersed himself in another MLK assassination conspiracy, this one involving an alleged military plot that placed intelligence agents on the roof of the fire station across from the Lorraine Motel to spy on King because of his views on the Vietnam War. The theory claimed that during their surveillance of King, they had seen the actual shooter, and even captured a photo of him. Unfortunately, when Pepper sought out the photo, he was vehemently turned down. He nevertheless believed that the photo existed because of the fact that there had been a known military presence in the area at the time of King’s murder. They had been sent into Memphis to break up a protest march a week earlier. But the military denied that there were any agents on the roof, as they claimed that the area was too open and they would have been instantly spotted by anyone on the ground. 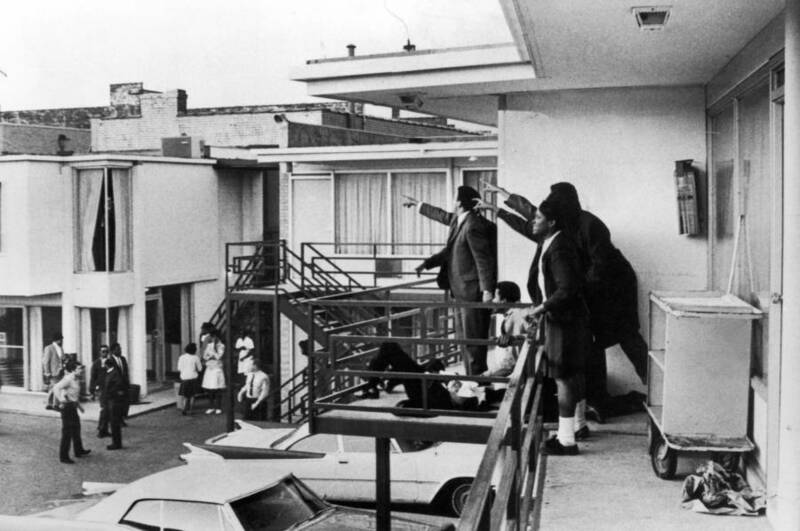 The photo shows King’s unconscious body, lying on the floor of the balcony, while one man stands and points in the direction of the shooter, and one man kneels over King’s body. Conspiracy theorists claim that the second man was an undercover cop, sent in by the C.I.A. to infiltrate the civil rights movement. Theorists claim that the government covered up the man’s identity during the investigation so as to not draw attention to the government’s connection to the crime. In reality, the man was simply a young policeman who had been one of the first to respond to the scene. He had no C.I.A. or F.B.I. connections at the time. A lie detector test, performed in 2000 backed this up. All in all, most MLK assassination alternate theories have been proven to be just that: theories. According to the government, the one man responsible is James Earl Ray. According to the King family, Ray is innocent and Jowers is the killer. According to the courts, Ray is the killer and Jowers is a conspirator who hired a hitman. After this look at the MLK assassination and the Loyd Jowers case, have a look at some of the most fascinating Martin Luther King Jr. facts. Then, see some of the most powerful photos of the civil rights movement.